Networking is a key factor for effective intra-organizational collaboration and inter-organizational success. We at BWRC network with governmental and non-governmental organizations to cooperate and develop according to broader needs; under the direction of, and as consultants to the Forest Department of Belize. Research plays an important role in BWRC, as it is necessary to develop sustainable wildlife management strategies. Recognizing threats to wildlife can establish baseline values and ultimately assist in the development of management plans. Furthermore, Zoonotic diseases transmitted from wildlife to humans require further research to evaluate threats to public health. 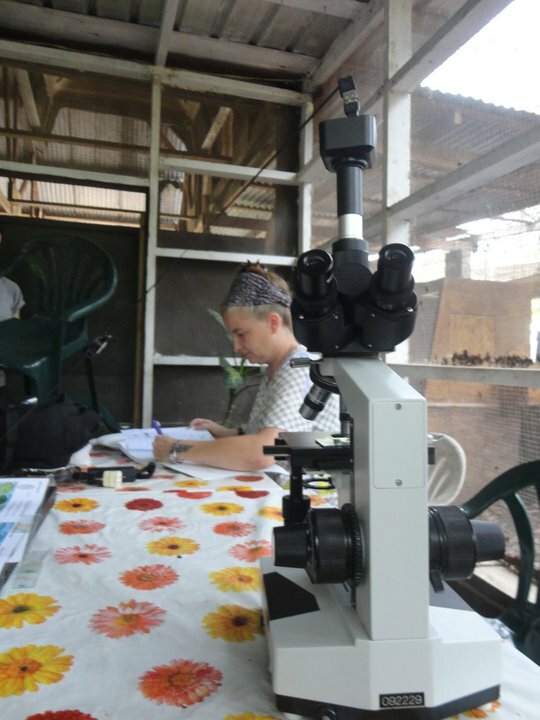 Research interests of the founder within others include wildlife parasitology and zoonotic diseases. BWRC has basic laboratory equipment and supplies available to researchers, however students and researchers must be self funded. BWRC can collect and store different types of samples for various species seen at the Clinic; pending all necessary permits and approvals. Please contact us if you are interested in wildlife research at, or with BWRC.